In 1950 Marjorie Lyon’s niece, Marjorie Shaw, went to France to spend the summer with a family, hoping to perfect her French. She stayed with the Casteran family in Rouen and became very fond of them. The Casterans had a son, Pierre, who returned home from the army while Marge Shaw was staying there. He was waiting to go to college and had a completely free summer which he spent in Rouen with his family. Pierre was exactly the same age as Marge. They spent the summer biking together in the Loire and a romance began. Pierre proposed to Marge, and when she returned to the United States he followed her and spent time at Blithewold as the guest of Marjorie Lyon. In order to stay in America indefinitely, Pierre joined the U.S. Army. He wanted to go to Korea but instead was sent to France to spend the next few years pretending to be an American who had learned excellent French! It was there that he met Bill Cunningham who had, to his utter delight, been posted to Paris to do basic training for the U.S. Army. Bill was invited to spend time with the Casteran family in Rouen, and at their family estate ‘the size of Blithewold’ in the center of Paris. Pierre’s father was head of the National Electric of France (now EDF.) After their military service was over they both returned to the United States, Bill Cunningham to New York, and Pierre to Boston where he boarded at the YMCA hoping to see Marge again. But by then Marge was engaged to David Jeffries. Though the relationship with Marjorie Shaw was clearly over, Pierre stayed in Boston and visited Marjorie Lyon often. 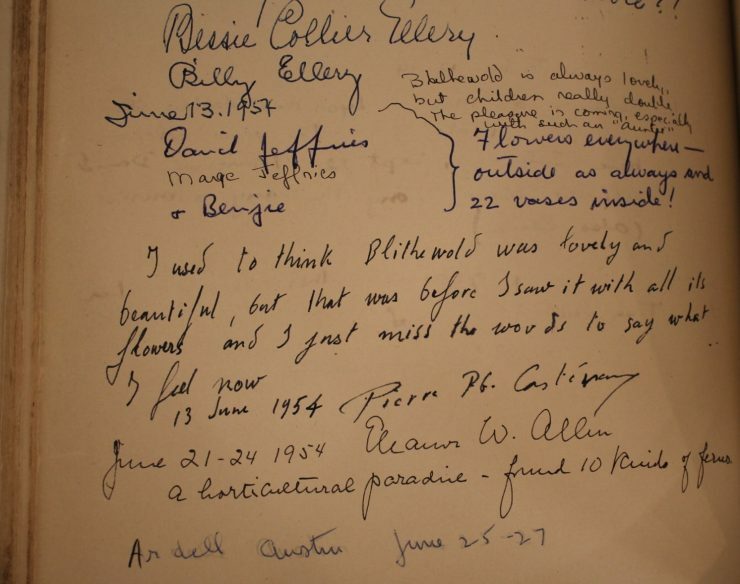 At some point in the 1950s he invited Bill Cunningham to join him for a weekend at Blithewold. 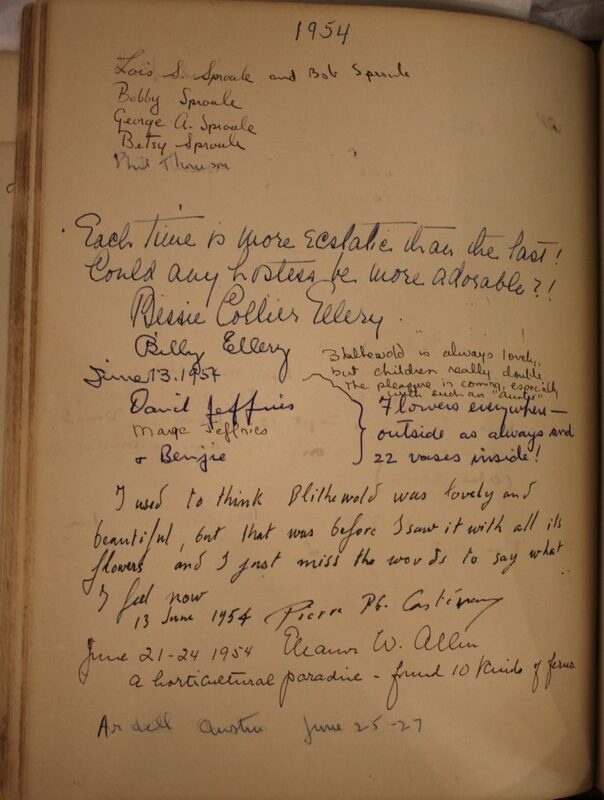 Occasionally he took his sister Madeleine with him, and later, after he married, he brought his children with him: one may have been ‘Barbara Casteran’ whose name appears in the Guest Book in June 1959. Bill Cunningham said that Pierre always spoke very warmly of the family.